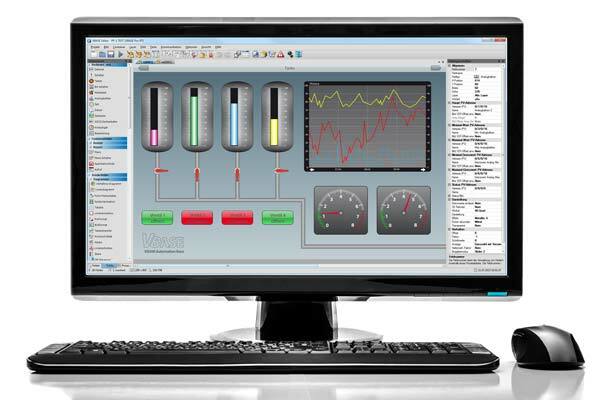 SCADA and HMI software for plant and mechanical engineering. VBASE. 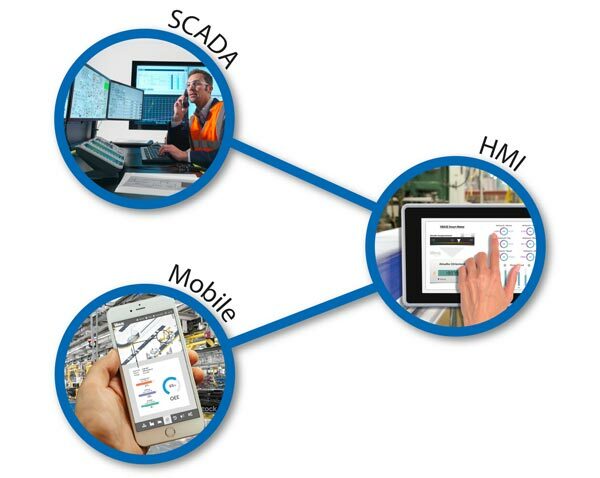 HMI / SCADA in machinery and plant engineering. from HMI to control level. Efficient configuration with little engineering effort. for all industries and applications. In the field of automation technology, the terms HMI and SCADA are used for the direct control of machines and systems by humans (HMI, human machine interface) as well as to monitor and control technical processes using computer systems (SCADA). 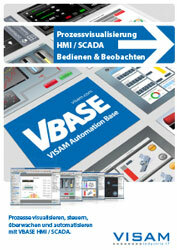 VBASE is a highly modern and flexible HMI / SCADA software. The application possibilities of VBASE are almost unlimited and branch-neutral. Whether automotive, building materials, pharmaceuticals, chemicals, etc. - VBASE is not determined to a single industry. The system provides the necessary tools for the creation of process visualisations with individual design and functionality. 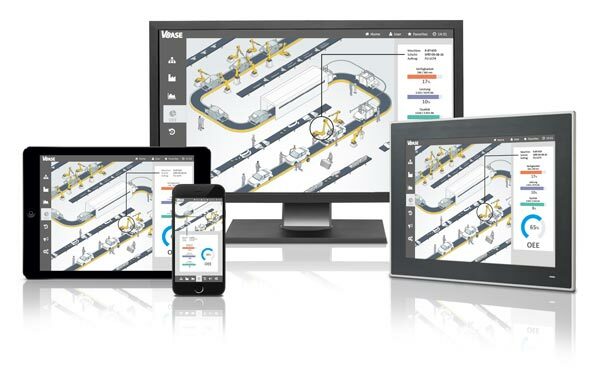 With the VBASE Editor, projects are created for complex plants, as well as for small HMI tasks. And with the VBASE Web-Remote, the projects are also available in the browser of your smartphone or tablet pc. VBASE is consistently compatible from the control room, over the HMI to the smartphone. Request our current VBASE price list. VBASE is independent of individual components and manufacturers. VBASE is equipped with an extensive driver pool, and communicates with all common protocols, fieldbuses and remote systems. Currently more than 200 different systems are supported. 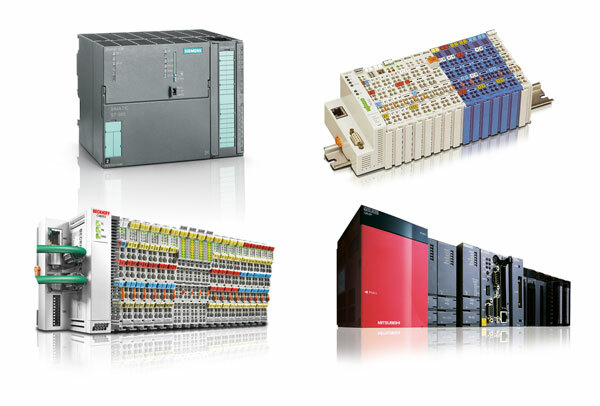 And of course, it supports all common PLC systems of the main vendors (Siemens, Beckhoff, Wago, Mitsubishi, etc.). The VBASE communication drivers are constantly updated and extended by new systems. the common PLC systems of the main vendors. further information about the VBASE interfaces. 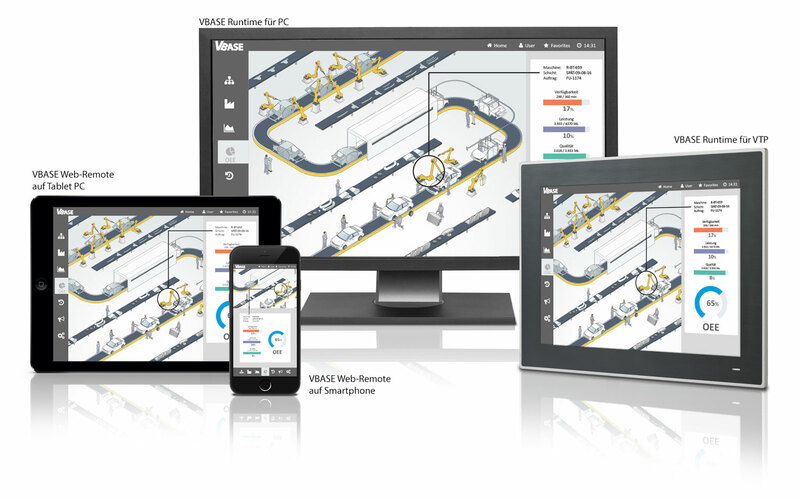 With the VBASE editor you get a unified and consistent development environment, which supports you in the creation of visualization and control for complex systems, as well as for simple HMI tasks with compact operating devices based on Windows CE basis. With the VISAM Touch Panel series (VTP), we have developed a HMI platform that perfectly complements VBASE. With just a few clicks, you can also release the automation project for mobile visualization and control via a smartphone or tablet. The VBASE Web-Remote is a universal HMI interface based on HTML5. Web-Remote can be activated on a project basis. The necessary HTML pages are automatically generated by the VBASE editor. VBASE-Editor: One configuration tool for all application levels. Fully packed with all the features for your next automation project. The VBASE system has all the functions necessary for the next HMI / SCADA project to behave exactly according to your requirements and look as you want it. From the visualization and manipulation of process data through recipe management, language and user administration up to the line recorder was thought of everything. VBASE has a large library with so-called function blocks for various topics. With the VBASE function blocks it is possible to use complex and frequently used functions and calculations in a simple manner in SCADA projects. The functionality described is completely depicted in the VBASE OEE function block and must only be parameterized for the respective system. The modules are based on a standardized structure and encapsulate recurrent logic or functions as a "blackbox". The user only has to select the relevant blocks from the library and set the input and/or output variables. Function blocks can be developed quickly, flexibly and independently of the basic system. With the Basic Engine VBASE has integrated a complete programming language based on Visual Basic. This makes it possible to extend the functionality of the system individually or to relocate functions from the remotesystem to the visualization.